I love working with this girl! LOL Blooper collection! It is always so much fun filming the fainting custom videos I get, and Kimberly Heart is one of the models I love working with. Sometimes it’s hard for us to be serious in moments of the script that call for seriousness! I do have a whole new respect for TV and movie actresses! It’s not easy sometimes. 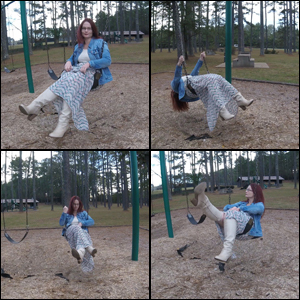 Here are some bloopers for this fainting video Kimberly Heart and I did together.